We build partnerships to help our clients navigate risk and hire great talent. That is our mission. We are looking for a smart, passionate, curious and driven Sales Development Representative to join our team. As a Sales Development Representative, you will have the opportunity to come in engage leaders in human resources and compliance across many industries to generate interest in our services and solutions in this entry level sales role. Clearly and consistently report activities, client contact, updates and any other required information within CRM. Maintains expert level of proficiency with Salesforce CRM, for regular audits, reporting data and ensuring team members are using Salesforce to optimize prospecting and accurately updating opportunities with current statuses within the sales cycle. Collaborates with peers on meeting setup and attendance. We build partnerships to help you navigate risk and hire great talent. That is our mission. The partnership is built on a dedication to service, support and innovation. 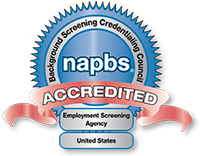 For 30 years, we have partnered with employers to build and manage efficient and effective background screening programs. Our roots are in the Midwest and Southern California where we bring a great combination of pride, urgency and simplicity into everything we do. We service a variety of industries with compliant screening and data products all managed through a client-customized interface that allows hiring organizations complete control over the due-diligence process. We reliably deliver verified, compliant results and offer drug testing services at over 15,000 locations nationwide. With hundreds of pre and post employment screening options available, we keep your organization competitive in the search to attract and attain the most qualified candidates. We build partnerships to help you navigate risk and hire great talent. PeopleFacts is an Equal Opportunity Employer and a drug-free workplace.